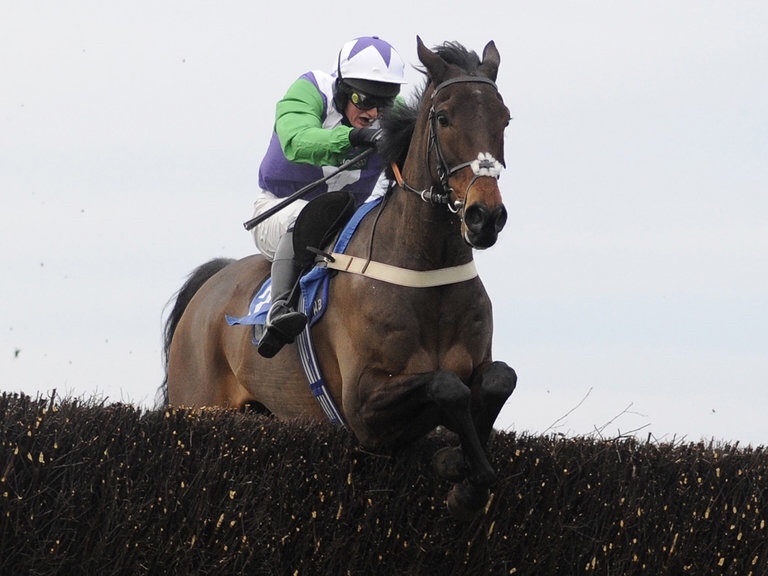 This fella won this race when I napped him a few years ago as a novice, read it here. He has dropped to the same mark again of OR140. Good ground is crucial to him and he ran a cracker here a couple of starts ago and came up the home straight in the lead. He just didnt last the trip in the ground. He carried 11st 10lbs that day and with the apprentice's claim he only has 10 stone on his back today!! That is a huge difference and I'm expecting a huge run from this sound jumper. He will be up with the pace which is important here and I think he'll tussle it out with his stablemate. Huge price too! I have backed this guy all year as I'm convinced he will win a race like this. He has been very disappointing so far and looks a shadow of the horse who bounced onto our shores a few seasons ago. I still think he's got it though, and interestingly he's finally back down to his last winning mark. It's a cracking race this but I really do fancy him today and their is support in the market too. Another previous winner, and another returning to his last winning mark of OR133. He won this off that mark two years ago and he will relish the trip and despite the ground maybe not being as heavy as he likes, soft ground over four miles at a decent clip will help him! Performed very well last year and was third in both the Kings Stand and the Prix De L'Abbaye to the sprint revelation of last year, GOLDREAM. He won at Glorious Goodwood and has shown enough class and speed in his tank to take this. My only thought is the about the surface?